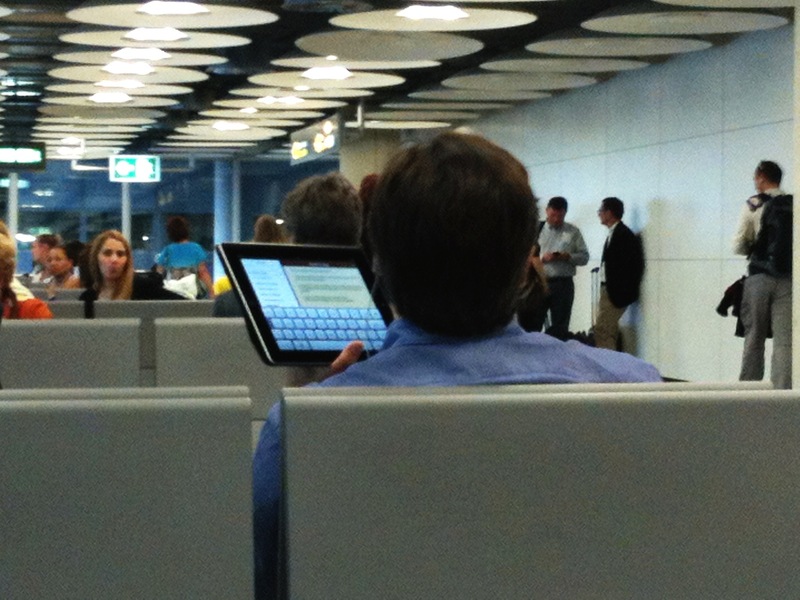 While waiting for my flight at the airport this evening, I noticed this man who seemed to be using an iPad for a conference call. I didn’t recognize the application, but he seemed to have a second window on the screen in addition to one for taking notes. I couldn’t tell if he was using his phone for the call itself or if he was doing everything with his tablet. This is the first time I’ve come across someone using a tablet this way. This entry was posted in Computing, Technology and tagged iPad. Bookmark the permalink. 2 Responses to Tablet Phone? Yes, it could be. I haven’t had time to see if there any apps for conf calls with that.